Two arms of equal length set on a beam hold two lightweight, flat brass pans on this cast iron scale. The pans are in equilibrium when exactly horizontal at the midpoint center of gravity. 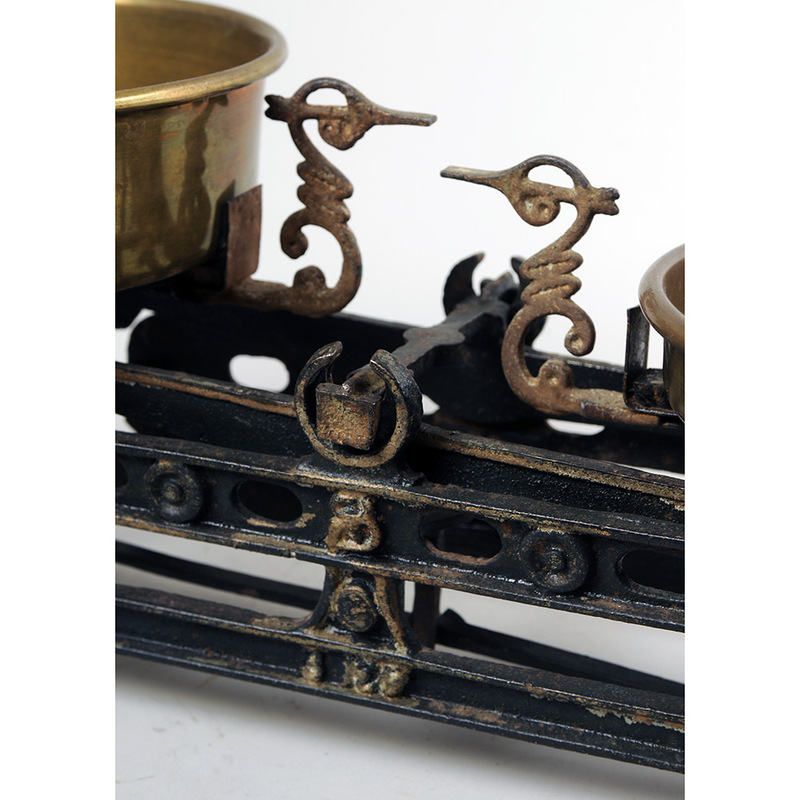 The object to be weighed was placed in one pan and standard weights were added to the other until the beam balanced. 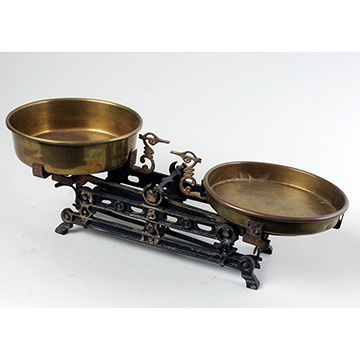 The two pans held different volumes and could weigh small items such as candies or other hard foods that did not need to be scooped or poured.